For Christmas this year I got some fun/cool/special dog related stuff I thought I would share. One of my colleagues got me this "Wanted" Dog dish. Reading it I wondered if the person who made it reads my blog. Here are two of my favourites. Wanted for Harassing the family cat. Wanted for chewing the newspaper. One of my good friends gave me the much reviewed Awkward Family Pet Photos. She herself is not a pet person (and tries really hard to appreciate my love of mine) and was unaware of the fact that I really wanted this book after reading everyone else's reviews. Must say, I loved it. I laughed so hard several times that I thought I would pee my pants. This is definitely a coffee table book, but since if I leave it on the coffee table it will get eaten, I have put it on a high shelf near the coffee table. The L is for Loki who died of a rare auto-immune disorder on May 12, 2010. The G is for Gemi who died of a head injury after an accident August 1, 2011. 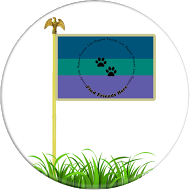 The paw represents them, and while you can't see it clearly, above the paws is waves. The beach was their favourite place to run free and roll in dead stuff, neither were swimmers. It was also inspired by the picture my sister shared with Shannon of my babies. (I am guessing it is the one below). The stone is red jasmine, it is to aid in healing after loss. I feel very lucky to have such a great sister and wonderful designer who created this very special piece for me. One of my fav pictures of Gemi and Loki at the beach. Tomorrow Lee will review her gifts! I love the necklace - it's beautiful! I love gifts that really mean something.. it's so nice when someone takes the time to think about what you would adore! Well done, sister! I also love the necklace. Lovely way to honor past pets (and current ones too!). I have a great baby sister. I am very lucky! You have the best sister. You really do. Also: great call on the FurCode. C - now we are even! Mel - yes I do. I convinced my mom to order FurCodes yesterday too! Last song of the season! 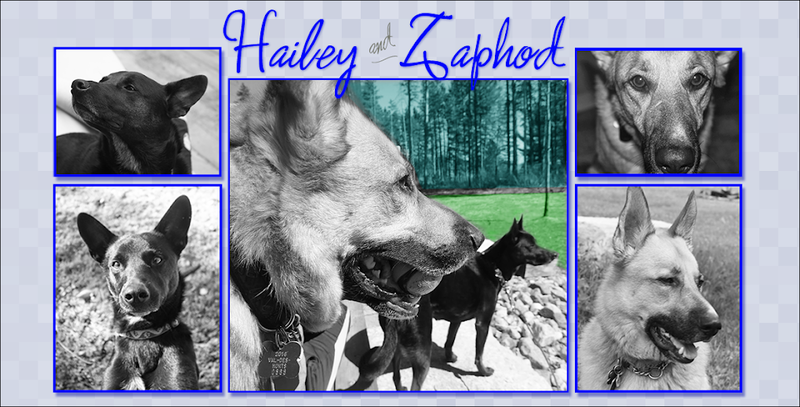 Wordless Wednesday - 10 years of dog ownership!